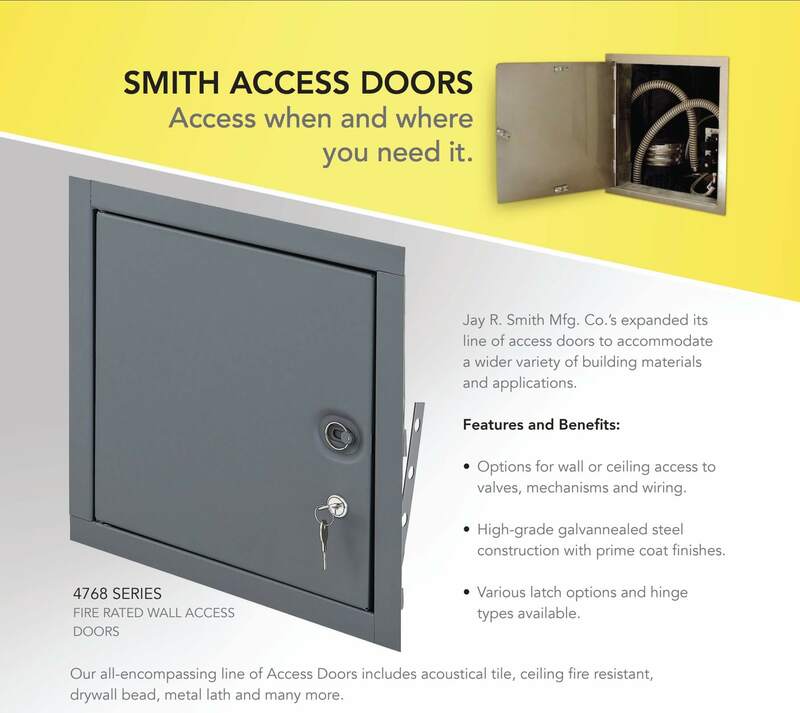 Smith Announces Extensive New Line Of Access Doors - Jay R. Smith MFG Co.
Jay R. Smith Mfg. Co. is proud to announce the launch of our newest product line of innovative Smith Access Doors. Smith Access Doors provide entry to wall, floor and roof spaces and allow access to pre-existing valves, mechanisms and wiring. Choose from an extensive array of Access Doors, constructed of high grade galvannealed steel with prime coat finishes, various latch options and hinge types. Our all-encompassing line of Access Doors includes acoustical tile, ceiling fire resistant, drywall bead, metal lath and many more.